London, United Kingdom and Boston, USA, September 29, 2015 – iTrinegy, the leading provider of networked application risk management solutions, today launched the NE-ONE Flex Network Profiler, the latest addition to its award-winning line of performance measurement solutions. The NE-ONE Flex Network Profiler operates as a virtual appliance (essentially an NFV version of NE-ONE Network Profiler), allowing full network profiling in a virtualized world, in addition to eliminating many of the installation, configuration and maintenance costs of a traditional hardware/software solution. The NE-ONE Flex Virtual Network Profiler enables you to quickly understand who is using your network, what it is being used for and how long operations take. Profiler’s network analytics can also be used together with iTrinegy’s NE-ONE Flex Virtual Network Emulator allowing you to recreate test networks based on your real-world experiences in the virtual world. 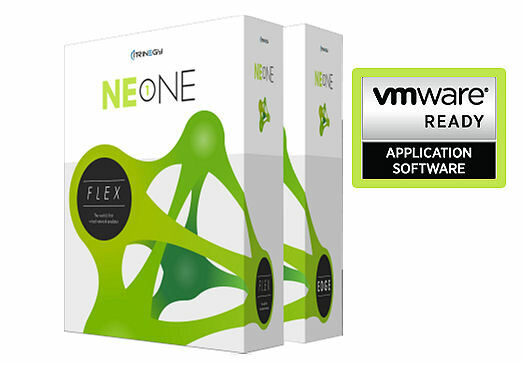 Designed specifically for organizations operating in a virtual environment, where installing and configuring any physical appliance is not an option, the NE-ONE Flex Network Profiler offers a new way to deploy its award-winning solution. Ability to create network profiles for use in NE-ONE Flex Virtual Network Emulator. For a limited period of time, iTrinegy is offering customers the chance to try NE-ONE Flex Network Profiler before they buy it. Frank Puranik, Product Director at iTrinegy commented: “With most applications now being delivered over cloud, Internet and mobile networks, the network has become ubiquitous. Therefore it really is imperative that you have fully visibility of what is running over it, and that’s just as true in the virtual world. Our new NE-ONE Flex Network Profiler provides you with the means to quickly establish a true understanding of what is happening to the applications that are travelling over the network, which may be partly or completely virtualized. However we can now present this information in a way that doesn’t overwhelm you or requires you to be a network expert to interpret it correctly. * NFV – Network Function Virtualization – is the initiative to virtualize network appliances like Routers, Firewalls etc that have up to this point only been available as physical appliances.